Serverless technologies like functions as a service (FaaS) are in use by 43 percent of enterprises that both have a significant number of strategic workloads running in the public cloud workloads and the ability to dynamically manage them. Without those qualifications, it is easy to misinterpret the findings from New Relic’s survey-based ebook “Achieving Serverless Success with Dynamic Cloud and DevOps.” After digging in, we found that the survey says 70 percent of enterprises have migrated a significant number of workloads to the public cloud. 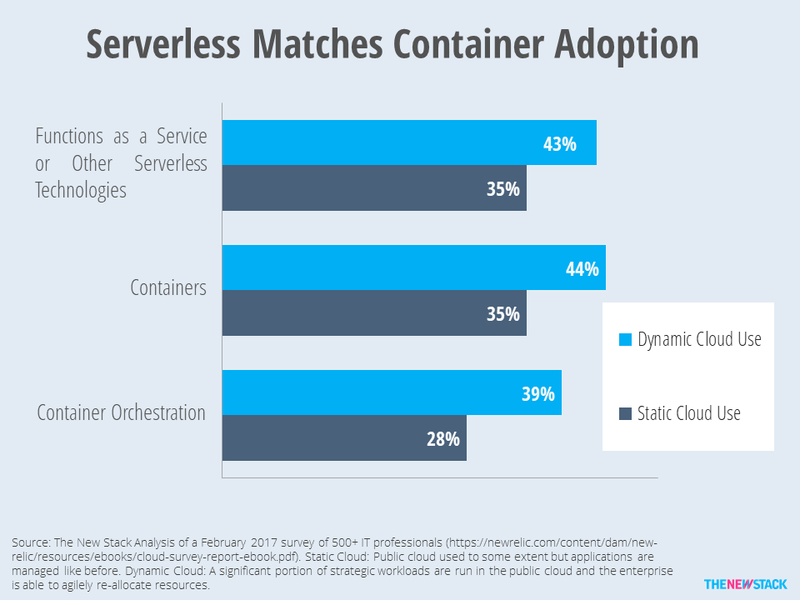 Among this group, 39 percent of using serverless, 40 percent are using containers and 34 percent are using container orchestration. At least superficially, adoption of serverless technologies now matches that of containers. However, the depth of its use in production applications has yet to be determined. Furthermore, like all things serverless, we don’t really know what is meant by the term. The questionnaire hedged by saying serverless technologies like FaaS and AWS Lambda. That definition seems hopelessly vague. The survey was conducted in February 2017 and had over 500 participants, 61 percent of which work in enterprises with 1,000 employees. At least superficially, adoption of serverless technologies now matches that of containers. However, the depth of its use in production applications has yet to be determined. We agree with the report’s premise that different levels of cloud maturity impact productivity. Defining the level of cloud adoption is a tricky business. According to the e-book, the old, the traditional approach has been to run most significant workloads in a private data center or a private cloud. 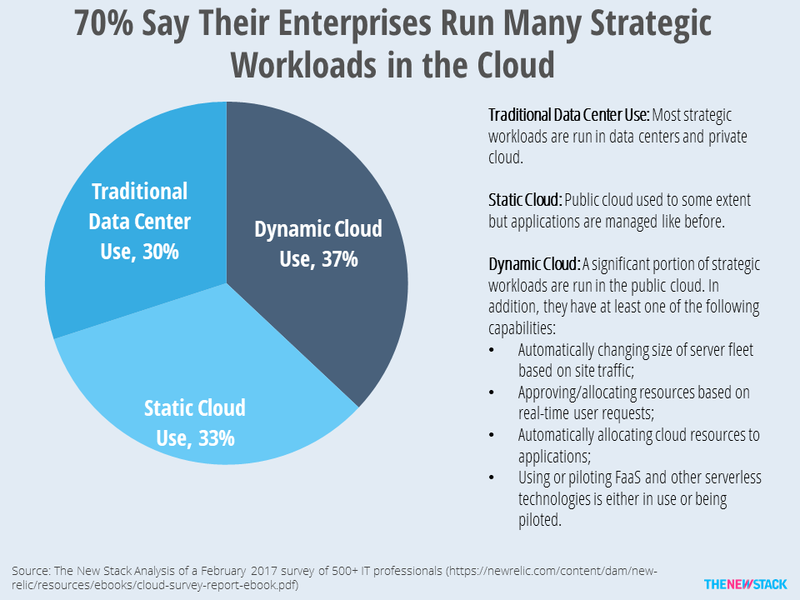 In this study, 30 percent do that, which means the other 70 percent of enterprises run many workloads in the public cloud but may not be fully utilizing its “dynamic” capabilities. According to the survey, 33 percent are static cloud users. Anecdotally, they have “lifted-and-shifted” workloads to the cloud to save money and focus on core operations. While they claim to have made the move to public cloud, in reality, 80 percent of their strategic workloads are primarily run in private data center. The remaining 37 percent of respondents have migrated many strategic workloads to the public cloud AND have made some effort to increase agility and automatically re-allocate resources. However, even among this group, the vast majority run workloads to an equal degree in both private and public clouds. Dynamic cloud use is partly defined as using or piloting serverless. The book only reports on the adoption rates of the dynamic cloud users and provides no details about the enterprises that do not run significant workloads in the public cloud. However, The New Stack was able to calculate the statistics for the what are defined as static cloud adopters. Even among different levels of “cloud maturity,” adoption levels of serverless and containers appears to be pretty similar, with the differential because the description of dynamic cloud use is similar to the generic profile early adopters. However, this does not mean that companies have the same definition of what it means to be doing serverless. The spread between container orchestration is greater between dynamic and static cloud users. Container orchestration enables the type of resource allocation needed to agilely manage cloud infrastructure. A graphic in the book heralds findings as being about FaaS itself, but the text reveals the people were actually reporting on the use of any type of serverless technology, with FaaS and AWS Lambda offered as an example. It does not provide examples of what containers or container orchestration is. Nor does the report describe the degree to which any of these technologies are being adopted. In other words, if one developer is using one Lambda function for an isolated application, does that mean the entire organization is using serverless? If an event-activated service is called upon to support a web application, does that count as serverless? If microservices and event-driven architectures are used, does that mean your organization has caught up with the serverless craze? We don’t have answers to these questions but hope future research delineates which, if any FaaS, are being used. As we’ve seen with VMware’s difficulty in the infrastructure services space, it is somewhat difficult to enable enterprises to become their own cloud providers, especially when AWS, Microsoft Azure, Google and others can do it cheaper and better. If a survey participant claims to host their own serverless infrastructure, examples should provide examples. If he or she can’t give specifics, we doubt they have actually moved past the experimentation phase. Instead, we expect that many people equate serverless infrastructure with the ability to provide a service, any service when it is triggered by a real-time event. That is an important capability but at least in our mind, it is not the radical change in computing that serverless cheerleaders have in mind. If compute-as-a-service and FaaS continue to be the domain of public cloud providers, we expect that managing and monitoring the deployment of functions will be where real competition emerges. 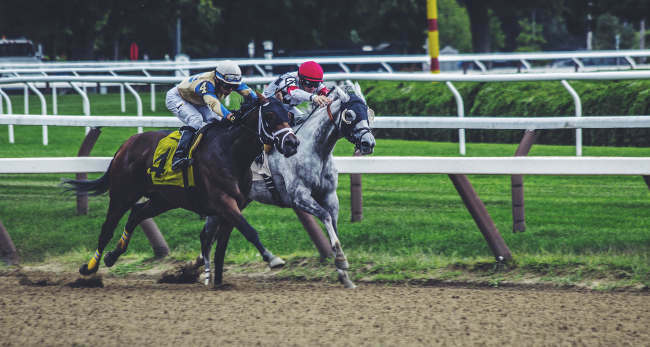 If that is the case, then the real serverless race will be about enabling tools and frameworks that help orchestrate the applications across multiple cloud environments. Not surprisingly, many believe that just like Kubernetes orchestrates containers, it can orchestrate functions as well. We’ve seen Bitnami’s Kubeless, Platform9’s Fission and Apache OpenWhisk emerge as platforms that work with Kubernetes. Last, but not least, we would be remiss to mention Serverless, Inc, which positions itself as a high-level framework that allows users to work with multiple FaaS providers as well as OpenWhisk and Kubernetes. We know that is many other studies have also shown a strong correlation between containers, microservices and continuous deployment pipelines. “Serverless” has become just the latest terminology used to describe how IT organizations are becoming more agile and embracing DevOps processes. Without looking at specific technology adoption, it is difficult to determine the impact serverless has on productivity. As Nicole Forsgren, the author of the 2017 State of DevOps report told us, delineating between processes, technologies and outcomes are difficult. Despite our problems with the New Relic methodology, its results mirror Forsgren’s finding that companies that have the ability to agilely manage their software development lifecycle do experience better outcomes.